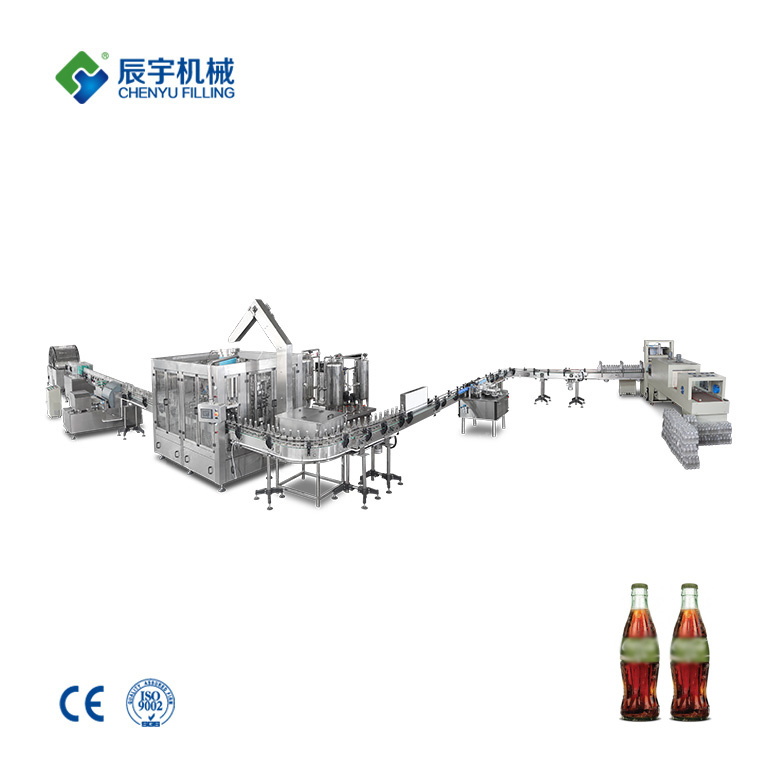 ﻿ Beer Filling Line | water filling machine|water bottling machine|bottle filling machine|Suzhou CHENYU Packing Machinery Co., Ltd.
Technical features Filling valve adopts high-accuracy mechanical filling valve, with mechanism no bottle, no vacuum. Outside mounted mechanical filling valves. There is no spring or sealing parts inside the valve. Twice vacuum, with high pressure foam stimulation device. Adopt open type gear and gearbox combination transmission. Adopt variable frequency stepless timing with large adjustment scope. The transmission system equips automatic lubrication with grease, high-efficiency, little noise and long-life. 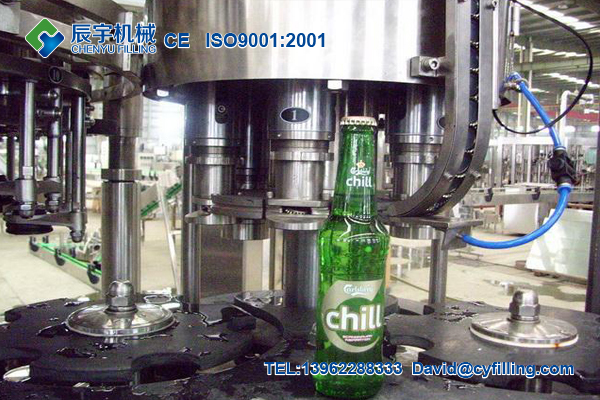 While filling gas or beer, if bottle is broken due to quality problem, the filling valve will close automatically. 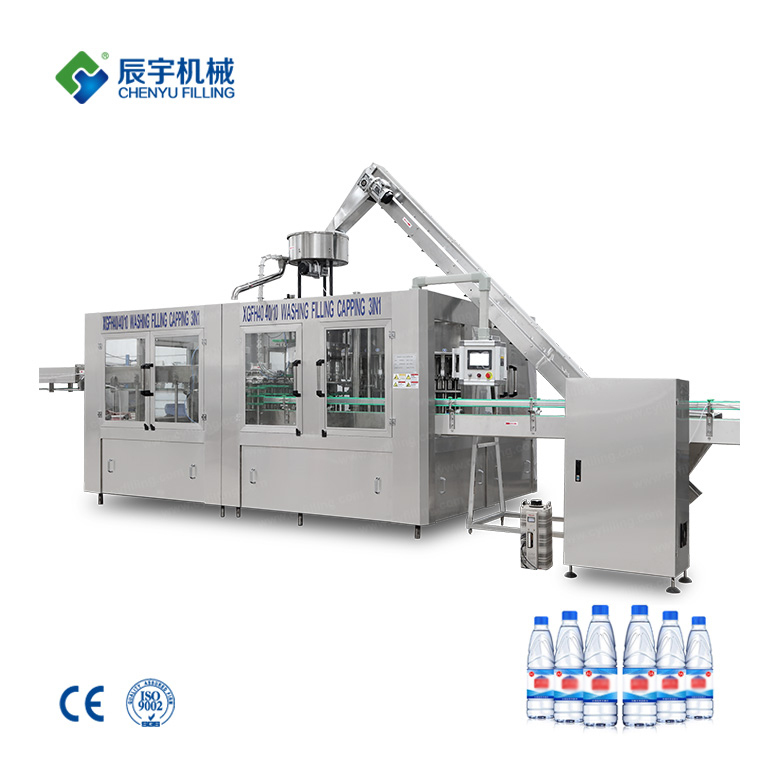 It also equips automatic broken bottle washing device. 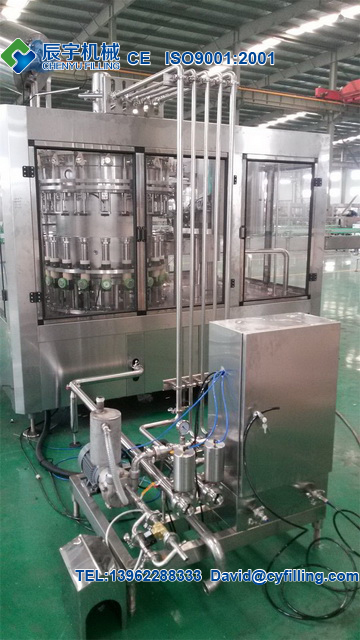 Equip fully stainless steel magnetic cap hopper. Cap sorting, discharge and feeing are all conveyed by magnetic force, and the cap is not easy to become distorted. Mass and smooth cap discharge. 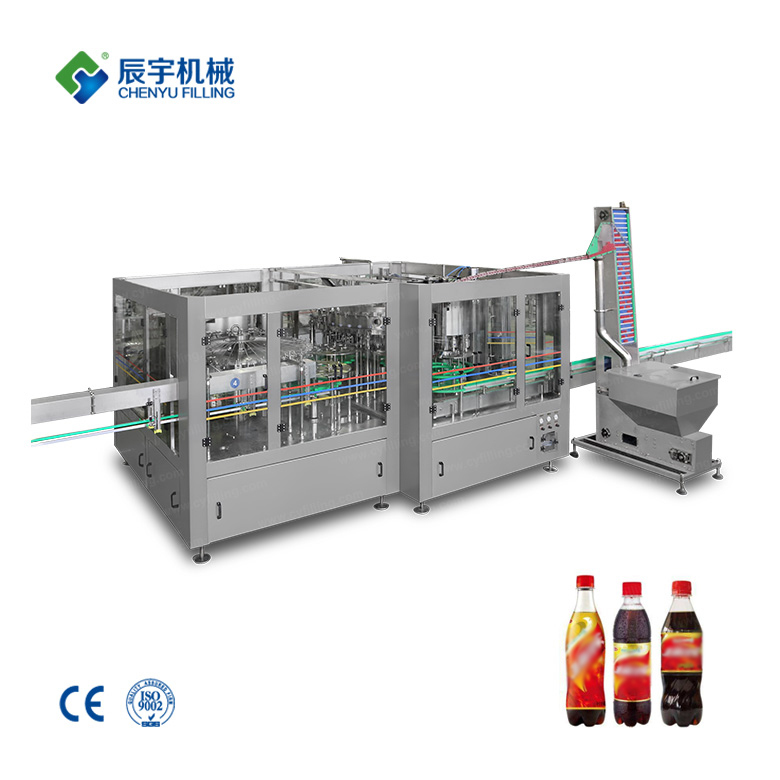 Reliable capping with automatic unloading function to lower the bottle loss rate. 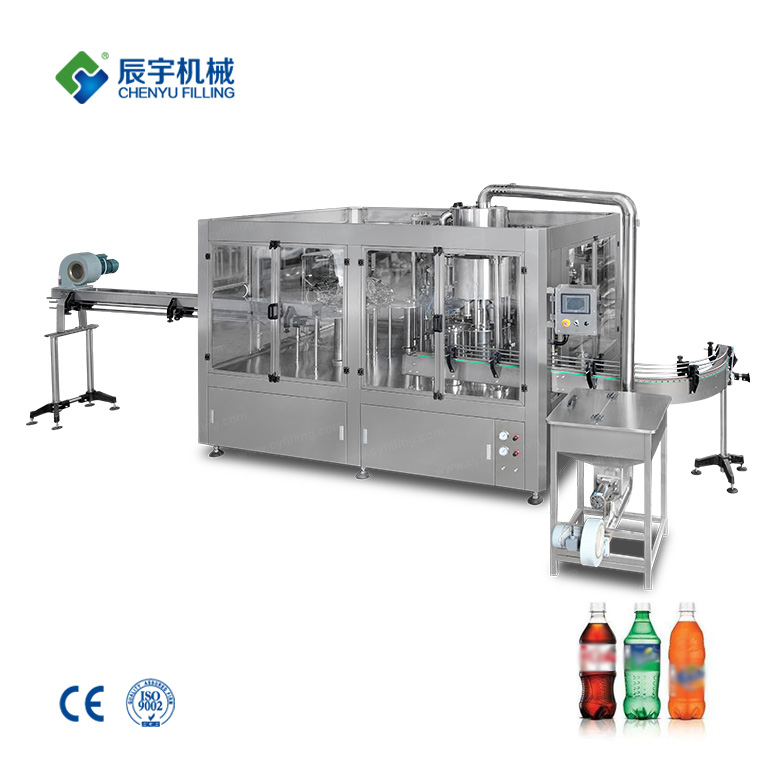 Centering guide adopts double-leader type with pre-covering function. The bottle infeed and outfeed is table and reliable. 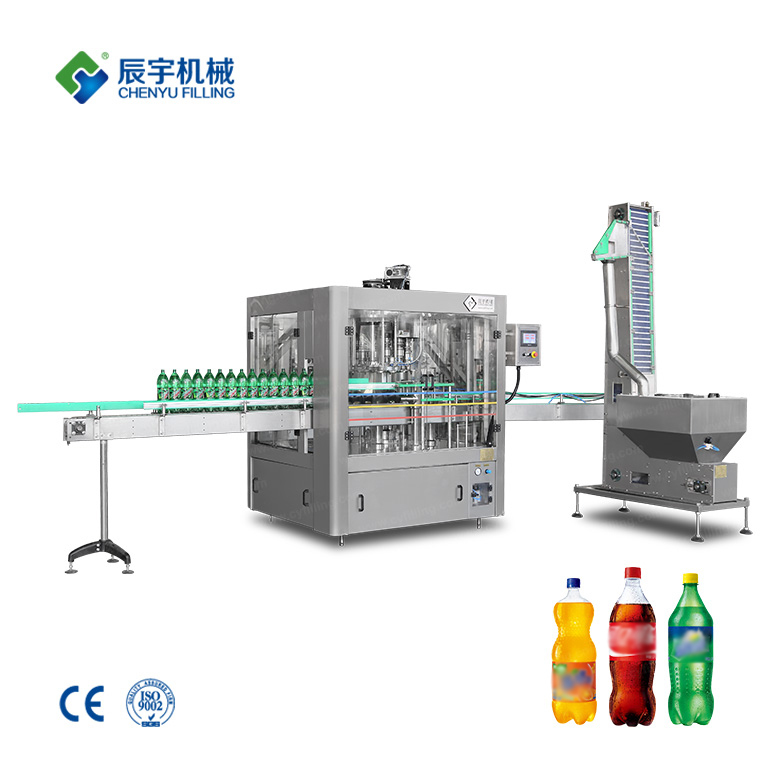 The carousel and capping head elevation is electrical to adapt to various bottles with different height. 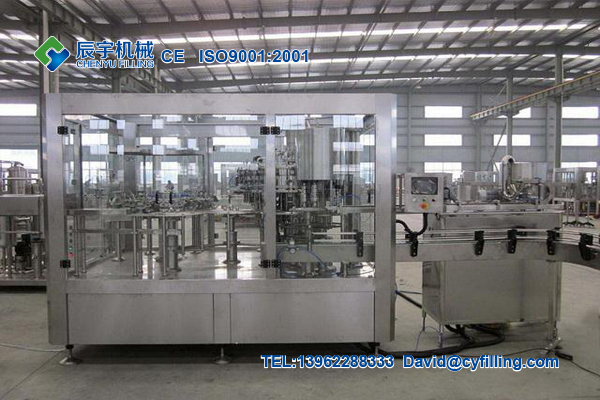 The product level in the carousel is controlled by electric probe, with stable level and filling.